Adnan Malik talked about his debut film Cake! Adnan Malik who was loved by all as Khalil in Sadqay Tumhare and seen this year in Dil Banjara is all set to star in the movie cake starring Amina Sheikh and Sanam Saeed as sisters. The film also stars Faris Khalid and Hira hussain. 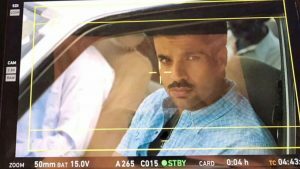 The film is being termed as a family drama focusing on the story of two sisters. Adnan talked to images recently in an interview and had some interesting things to say. Check out! Images: From an insider’s perspective, tell us why cine-goers should look forward to Cake’s release. Adnan Malik: Because it’s a heartfelt story, beautifully told, with top-shelf performances. It’s honest, it’s funny and it’s touching. It’s not a film on the surface, but deals with family dynamics and relationships in the same way that I look at them. I remember when I first read the script I was both laughing and had tears in my eyes. If reading a script can do that to you, if it can move you, and make you reflect on your own life and your own choices, then it’s something powerful. I don’t act for fame, money or recognition; I do it because I have something to say. Something in the character needs to resonate with me, and Cake has definitely got something for everyone. I don’t think Pakistan has seen a film like this before. It’s hip, current, and will emotionally move you. And my character will totally surprise you. Images: Is that what moved you to make your big screen debut with an apparently non-commercial; film like Cake? Adnan: I think Cake is very much commercial. Internationally, look at Kapoor & Sons, it became popular because of its storyline. Cake’s independent in the sense that it doesn’t have a big production house backing it as of yet. I think we all choose our own paths and at the end of the day, I for one, only want to do projects that allow me to express my worldview, or a worldview that I resonate with. Performance should always work at two levels, what it seems to be and what it actually is. 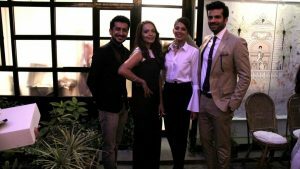 Images: Tell us a bit about your experience shooting with co-stars, Sanam Saeed and Aamina Sheikh, and director, Asim Abbasi. Adnan: Sanam and I had just came out of a project together and I feel she’s very professional, always well-prepared. She’s a class act. I’ve known Aamina for very long as well, we hosted a segment together at a recent award show and I directed her in a video called ‘My Punjabi Love for You’. I really like her emotional rawness and I do learn a lot from the both of them. We all instantly created our own world and I share great chemistry on and off-screen with the both of them. Even Ahmed sahab, Beo aunty, Faris and Hira are all very good. The film has been very intelligently cast. I think Asim’s a very disciplined and organised director. He’s also deeply intuitive. Since he’s also the writer, he was so deeply involved in the film, everything was considered beforehand. He actually worked on ‘untraining’ us from the drama-acting. We spent a couple of months rehearsing and he would never tell us to do things one way or the other. He wanted us to own the characters and make choices from within that discovered space. It was about being present and feeling the moments. It was a real pleasure working with him and learning from him. Images: What can one expect in terms of execution, considering that Asim and his team are from London? Adnan: Well Cake had a very young and fresh atmosphere on set with well read and well exposed people and everyone was treated as an equal. The cinematographer is the incredibly talented Mo Azmi, so I trust the team because I know they’re thorough professionals. Cake is by no means a small film, it looks great and despite being directed by a first-timer, I think the film will have a ‘seasoned’ feel. At the end of the day, I would always watch a movie for its story and performances and this film is strong on both those fronts. I am excited to see myself on the big screen, but what I’m more excited about is what my character stands for. I think the audiences will have a strong and hopefully a positive reaction to him. Cake is a really cool film that will hopefully appeal to people of all age groups and not only in Pakistan. I feel it’s one of those very few films that will give local cinema a face internationally. It’s real, it’s funny, it’s sad and that’s why it’s called Cake – it has so many layers to it. Cake marks Adnan Malik’s film debut and is directed by Asim Abbasi. The film will hopefully release this year.